The San Francisco 49ers come to CenturyLink Field on Sunday for a big NFC West battle against the Seattle Seahawks. Neither team won or covered the spread in week one. San Francisco was dominated, 23-3, at home by the Carolina Panthers. Seattle had a tougher spot and came up short at Lambeau, losing to the Green Bay Packers, 17-9. And as opposed to the Niners, who were just simply outplayed, the Seahawks had some bad breaks and iffy calls spoil their efforts on Sunday. Bad calls or not, the Seattle offense labored en route to scoring only three field goals on the afternoon. They had only 12 first downs and 225 total yards. Not to belabor the point, as there are surely others who have discussed this, but we often take offensive lines for granted. It's not a part of the game that lends itself to discussion for most fans and even a lot of bettors. Most just assume all is well and maybe there are better and worse lines, but that it really doesn't come down to that. Well, it does. And other than C Justin Britt, there is a lot of dogmeat on that front. It undermines the entire operation. It's like having really bad security at a rowdy bar and right now, Seattle is Roadhouse before Swayze showed up. Again, one wonders what Russell Wilson could do if afforded the time to work. He was just 14-for-27 with 158 yards and no touchdowns. He also led the team in rushing with just 40 yards and other than a 30-yard scamper by rookie Chris Carson, they got very little, with Eddie Lacy and CJ Prosise unable to make it happen. Doug Baldwin had 63 yards and Paul Richardson 59, with no one else getting very much. Look for better this week. Seattle will be irritated and it may have been better for San Fran if the Seahawks won in week one to take off the edge. And again, with a few calls going their way, they could have easily won that game. Even with the offense spiraling, the Seattle defense looked decent in giving up only 17 points despite Aaron Rodgers putting up over 300 yards. Green Bay possessed the ball for nearly 40 minutes so they did manage to put up some yardage, but 17 points for their efforts was a good reflection of the defense. The line has a little extra bite with Sheldon Richardson in the mix, along with Frank Clark and Michael Bennett and Cliff Avril. Jeremy Lane went down, but he is a weak spot on a secondary that still stars Richard Sherman, Kam Chancellor, and Earl Thomas. Bobby Wagner in the middle and KJ Wright outside are a difference-making duo at linebacker. This side of the ball should be fine and even better if not hung out to dry as they were this past Sunday. Not that many people were suspecting a San Francisco revival under first-year head coach Kyle Shanahan. But those who were saw that it's going to take a while to turn this ship around. The defense wasn't bad, as they appeared to have the Carolina offense out-of-sync for much of the game, but it's still hard to sugar-coat a 20-point home loss to a team that won 6 games last season. The offense is plagued with a lack of playmakers and the fact that they are operating with a biding-time quarterback in Brian Hoyer, who likely doesn't figure into their long-range plans. Hoyer was under siege for much of the game. They went scoreless in the first half of the game and Hoyer committed two turnovers. The run-game didn't get out of the blocks with the team playing from behind all day, as Carlos Hyde had just 45 yards on only 9 carries, though he did pull in 6 catches. Hoyer connected well with Pierre Garcon, who had 6 catches for 81 yards. There is only so much good you can say when a team scores 3 points at home. The San Fran defense could be a little better. It was upsetting to see rookie Rueben Foster carted off, as he had gotten off to a good start. Taquisti Tartt was active, but a missed tackle led to a TD and he had some costly penalties. They didn't sack Newton once, but guys in the front-seven helped keep the Carolina run curbed, with DT DeForest Buckner, LB NaVorro Bowman, LB Ray Ray Armstrong, and Arik Armstead playing decently. Since 2011, San Francisco has lost every time they come into Seattle and it's been by double-digits each time—usually by a lot. Seattle might have a crisis with their O-line, but that's not new. They still have a lot of hopes for this season and the timing of this couldn't be worse for San Francisco. In Seattle's home-opener, look for a fired-up Seahawks team to make life hard on the Niners, especially on the offensive side of the ball. It takes a certain leap-of-faith, but we think Seattle is going to cover the big number this week. 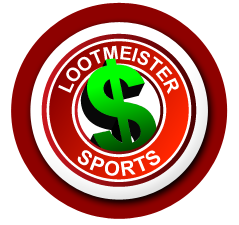 Loot's Prediction to Cover the Point Spread: I'm betting on the Seattle Seahawks minus 12.5 points. Did you know... that you could be wagering on the 49ers vs. Seahawks game at discounted odds? There's a better than good chance that you're laying -110 odds (or more) with your book. Stop overpaying TODAY by making the switch to 5Dimes Sportsbook! You will be so glad that you did!